How To Be Berry Sparkly! Isnt it great when a trend you like stays around for longer than 5 minutes? I’ve made no secret of my love of all thing sparkly and thank goodness the embellished trend is still with us! 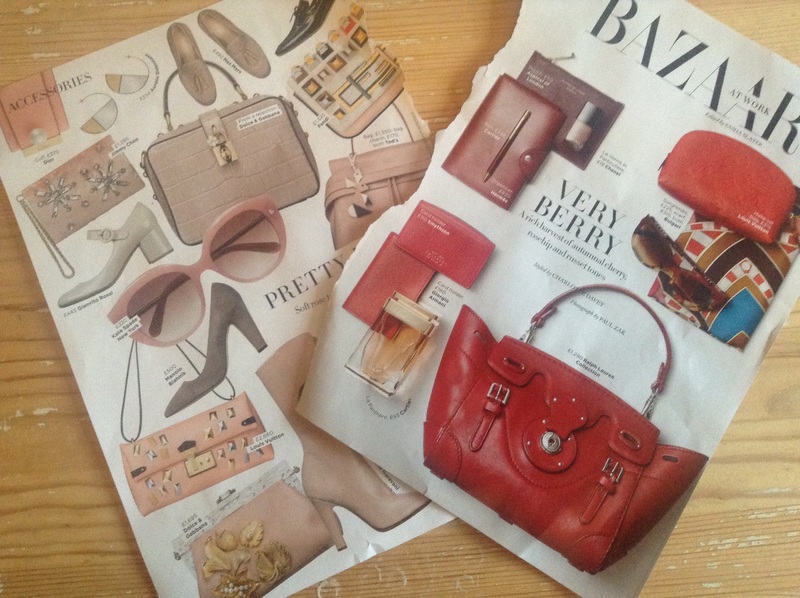 Couple that with the colours of the season, the lovely berry and burgundy tones, we are onto a winner! So, this combination inspired me to do another up cycling project, I have this pastel green short sleeved sweatshirt that is a great shape and good for these artic in the morning sweltering by lunchtime days! Perfect for a bit of an up Cycle! 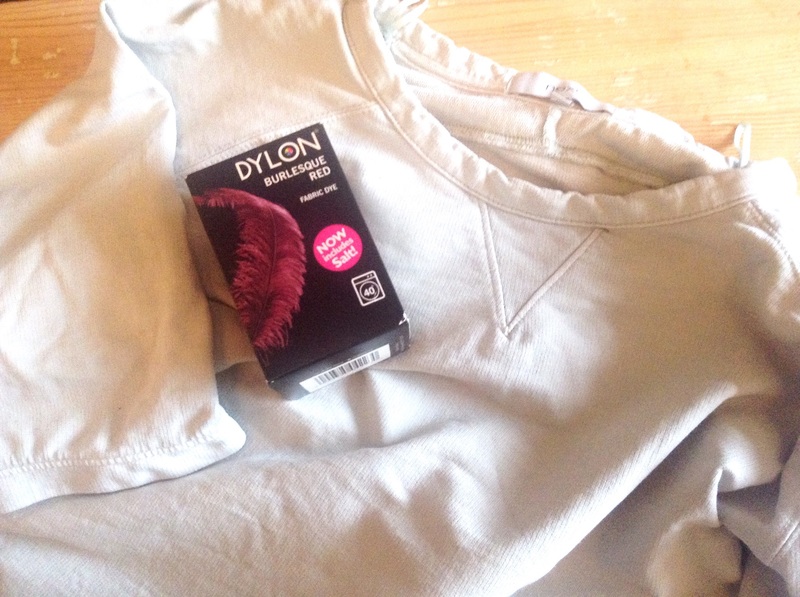 First it needed dyeing to a berry shade, I love Dylon dyes as they are so easy…. This shade is called Burlesque Red ?!? Not sure what makes it burlesque but it is definitely a burgundy/ berry shade. Follow the instructions and bingo a more winter appropriate shade! 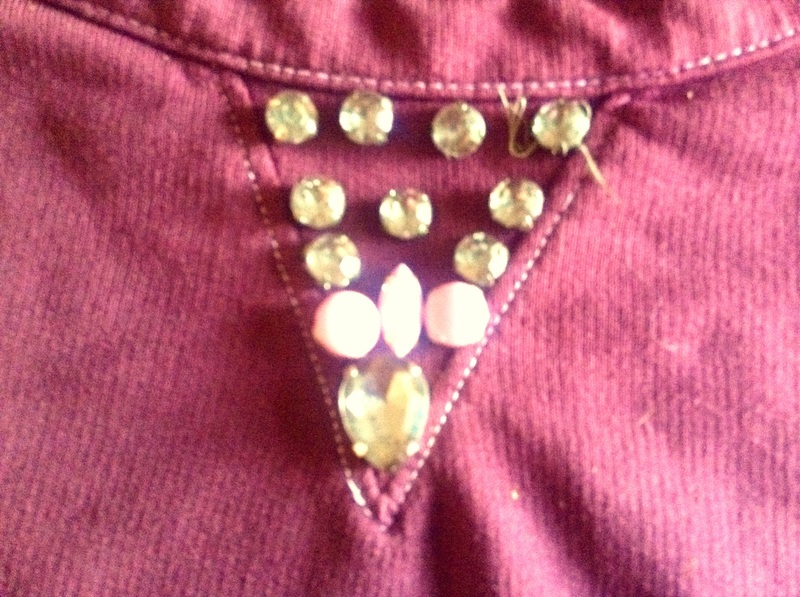 Next it needs a spot of embellishment, I had some lovely grey crystals salvaged from a shirt that my daughter threw out and a few lilac ones from I don’t know where! 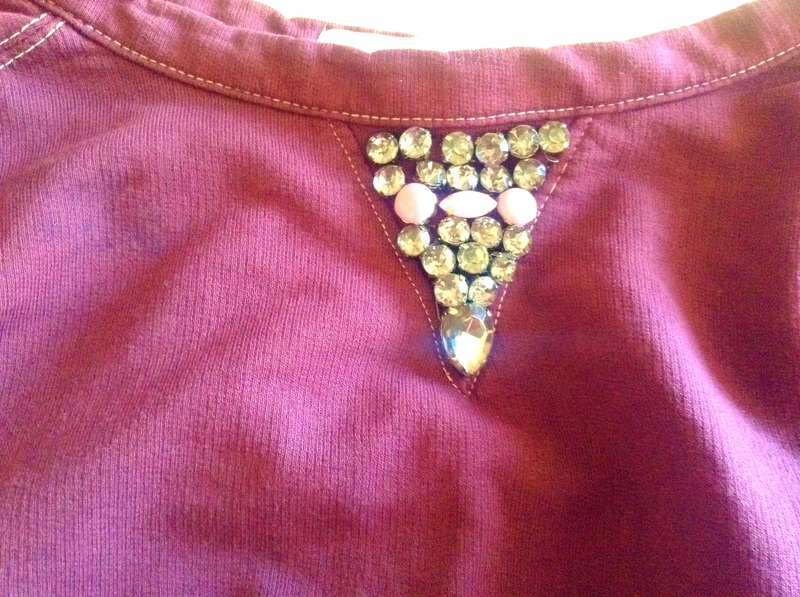 Play around with them until you get a look you like, I tried these first……..
Sew your embellishments in place and there you go…. 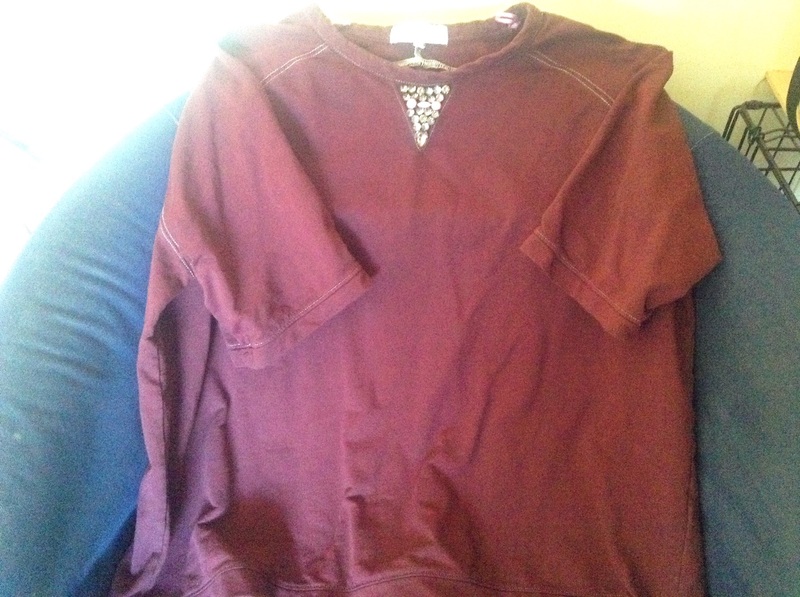 A much more glam sweat in a great colour for the winter! 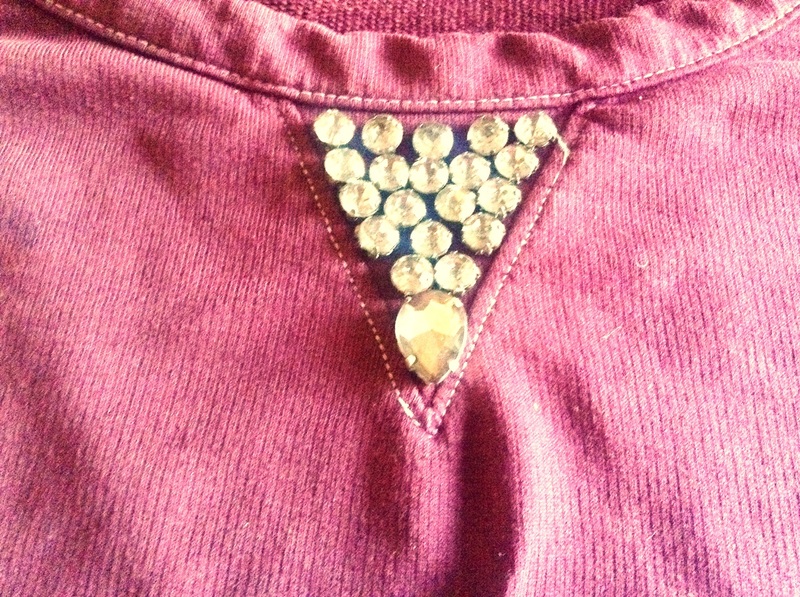 This entry was posted in DIYs and tagged berry, crystals, diy, dye, embellishment, fashion, sweatshirt, upcycle, winter by karenlorenz. Bookmark the permalink.